Harvard’s endowment was valued at $36.4 billion last June 30, the end of fiscal year 2014—$3.7 billion more (11.3 percent) than at the end of fiscal 2013, and within a half-billion dollars of the peak value achieved in fiscal 2008, just before the financial crisis. The report, issued in late September, was the last wholly under the leadership of Jane L. Mendillo, president and chief executive officer of Harvard Management Company (HMC), who is stepping down at the end of 2014 (see “Endowment Exit,” September-October, page 18). The fiscal 2014 appreciation in Harvard’s endowment reflects the investment return (perhaps $5 billion), minus distributions to support University operations and for other purposes (perhaps $1.6 billion), plus gifts received (expected to be healthy, given the capital campaign—see “Capitalizing,” page 26; exact figures will appear in the annual financial report later this fall). 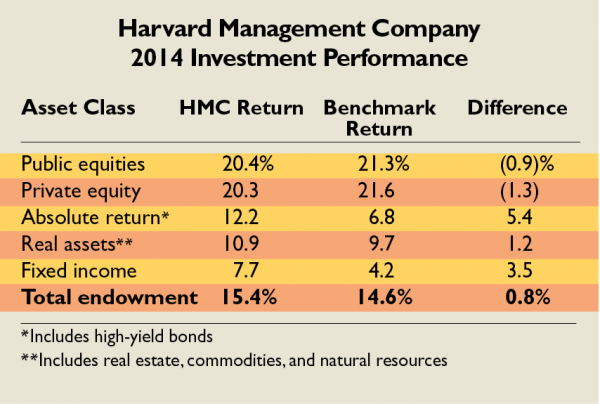 For a detailed report on HMC’s performance by asset class, see harvardmag.com/endowment-15. 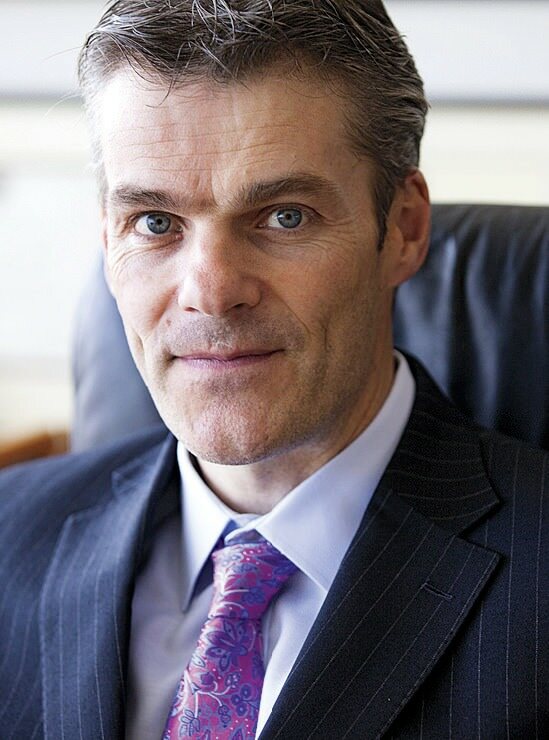 For more information about Stephen Blyth, see harvardmag.com/ceo-14.